While in residence at Oxygen Art Centre, Talbot-Kelly will build a temporary, multi-part Site Speciﬁc installation, an assemblage made of two realities – physical and digital. This will be a domestically scaled fence/barrier/wall made from reclaimed and reconﬁgured furniture that is seamlessly and endlessly extended by an Augmented Reality (AR) overlay made visible via the built-in cameras on provided tablets. 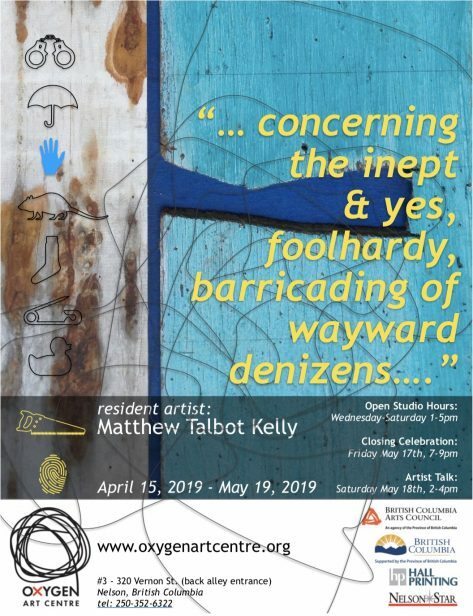 Talbot-Kelly will be in residence at Oxygen from April 15th through May 19th 2019. During this time the gallery will be open to curious visitors Wednesday-Saturday 1-5pm, with Talbot-Kelly present to discuss his project with the public. The residency will culminate with a closing celebration on Friday May 17th from 7-9pm and an Artist talk on Saturday May 18th from 2-4pm. Walls are topical at the moment – they keep people out, they define space (a here from there), allocate membership within, separate public from private – though their resonance goes beyond a contemporary USA centric lens. Matthew Talbot-Kelly (Ireland/Canada) is a mixed media artist, filmmaker and architect based in the Pacific Northwest. Talbot-Kelly is interested in how chance, editorial and mise-en-scène processes may be devices of (non)sense-making, uncovering compelling readings of the fragmentary familiar, through dialectics of contradiction and (in)comprehension. 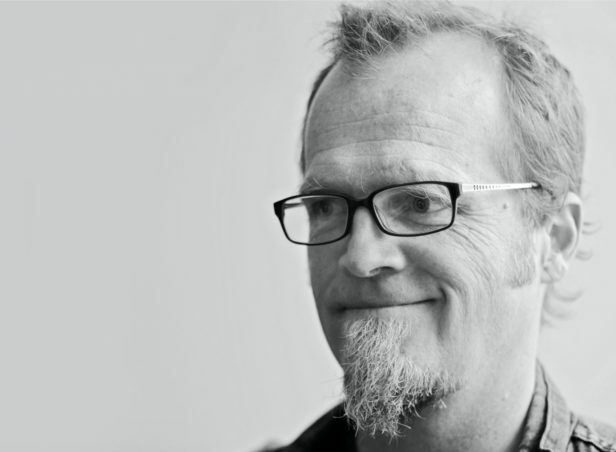 His wide ranging art practice comprises works in both analog physical (mixed media, collage, assemblage, installations, architecture, text) and digital time-based (film, animation, loops, interactive, sound, VR and AR) realms. Recently exhibited physical/digital/interactive works The (n)Atrocity Exhibition – a house crash for the rest of us, (BAF Gallery, Vancouver, 2017) Circling Towards a Possible Present, (Sunnycrest Mall, Sunshine Coast, BC, 2017), articulated subtext – an interactive VR installation, (Seaside Centre for the Arts, Canada, 2016), in Kamera / ‘After The Gold Rush’ / Venetian retirement station of a fictitious New York cabbie, Teatro di Villa Groggia, Cannaregio, (Venice, Italy, 2015), Blow 24 fps (Gibsons Public Art Gallery, Canada, 2015), and falling:catching (Krtashreya Aurodhan Gallery Garden, Pondicherry, India, 2014). Talbot-Kelly’s award winning digital & analog hybrid experimental 3d collage films The Trembling Veil of Bones (2010) and Blind Man’s Eye (2007), have screened around the world, including the Venice Biennale Film Festival. Talbot-Kelly is presently working on a large architectural/performative/mixed media work in production, a modern day Cabinet of Curiosities to be unveiled as a pop-up in a shopping mall. Various works have been funded by the Canada Council, NFB, The Irish Film Board, Ontario Arts Council.